A young boy wakes. He has forgotten to say his prayers. Outside his window, a beautiful harvest moon illuminates the city around him and its many inhabitants. 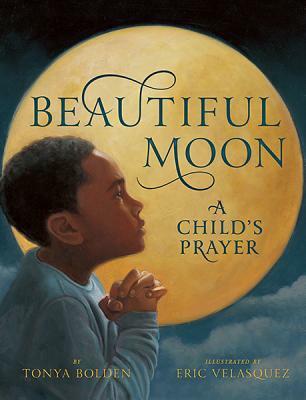 As the moon slowly makes its way across the heavens, the boy offers a simple prayer for the homeless, the hungry, and others.Critically acclaimed author Tonya Bolden teams up with award?winning illustrator Eric Velasquez to create a richly painted and emotionally complex book that celebrates prayer and kindness while recognizing the diversity of the world around us. Tell us what do you think about Beautiful Moon.